One of the things designers worry about the most is being disappointed with how a print project turns out. Seeing their project print in the “wrong” colors or not as sharp as it looked on the screen are common issues but there are also others. Many of these issues are surprisingly easy to manage. The good news is that only part of this management is on the designer’s end, some of it is on the printer’s end and out of the designer’s hands. Because printing problems can be expensive, or very expensive to fix (as in redo the entire job ? ), there is usually some finger pointing going on when a job goes south. If a designer messes up on their part – they are responsible for paying to reprint the job and I know firsthand, it’s a bitter pill to swallow. I’ve put together a list of the things you, the designer, controls and those which the printer controls. In this post, I will address the designer’s responsibility. In part two I will address the printer’s responsibility! The most important decision you can make is choosing the right paper for your project. No matter what you do on the prepress side to enhance image quality if you are printing a finely detailed image on the wrong paper, the details are going to be lost. Paper choice significantly affects reproduction quality. Most designers who are disappointed by color are using a proofing workflow that is not calibrated, ie: their monitor and desktop printer. There’s a reason why the proofing printers that printer’s buy cost five figures (and the color management RIP can cost six figures! ), they are way better than your desktop printer. It could be that your printer happened to predict how a job printed in January when you used photo paper and an OEM ink set, trust me, you got lucky. But in June when you are using copy paper with non-OEM ink the whole picture could change (picture, pun, LOL). 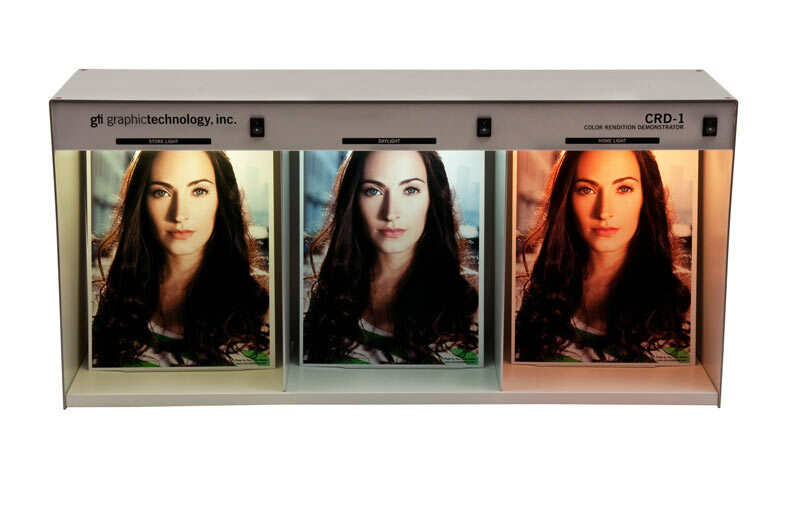 Either manage your color at your studio/office or rely on supplied proofs at every step of the process. It’s that simple. Don’t put off color management thinking you can wait until you see the first set of final proofs from your printer. This can lead to a major color rework during the final hour, delaying the job delivery, and that is not good for you or your client. There are some really quick and easy ways to calibrate your monitor so you can check color: Google “how to calibrate my monitor,” follow the instructions, and take your monitor’s age into account; as monitors age, they become less accurate. and apply it to your monitor and desktop printer. If your desktop printer cannot load an ICC profile, ask your print shop for work-around help or hire an outside firm. Sometimes spending $100 is the best thing you can possibly do. of the Pantone Color Bridge set. If your proofs look odd or different in your client’s office, it might be the light. proofs in a color-neutral environment; a color booth is best. Specify color while you are in the booth too. Install 5000k fluorescent lights and daylight incandescents in your workspace. want to handle that conversion, especially if your files are printing on a digital press. If you are printing on colored paper, proof on colored paper. If you can’t proof on colored paper, change the “paper” color in InDesign to approximate your paper color. 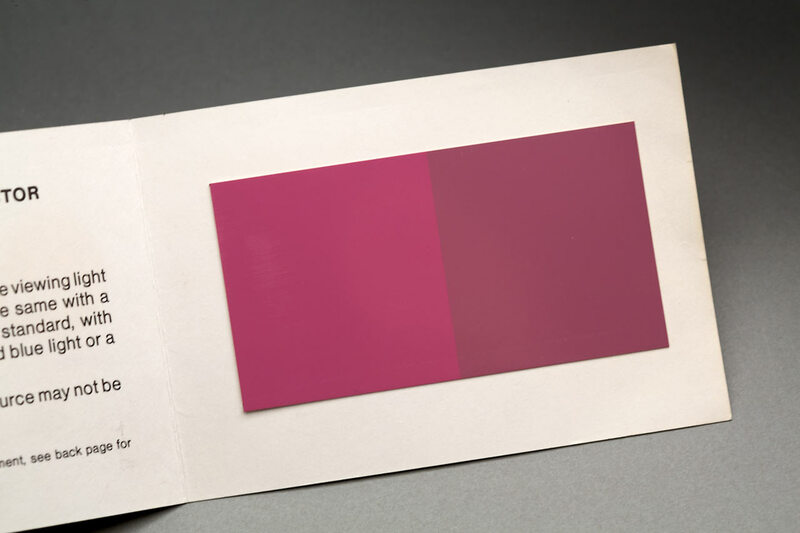 It will not reflect how transparent inks appear on colored paper, but it’s a step in the right direction. Rhem indicators show you if your lighting is correct. You can purchase them on a card or a pack of stickers to place on proofs and there is currently one in the back of the Pantone Bridge set. In correct lighting, both halves of the rectangle are identical. Here it is shown in incorrect lighting. Using your monitor to select color is a sketchy proposition. 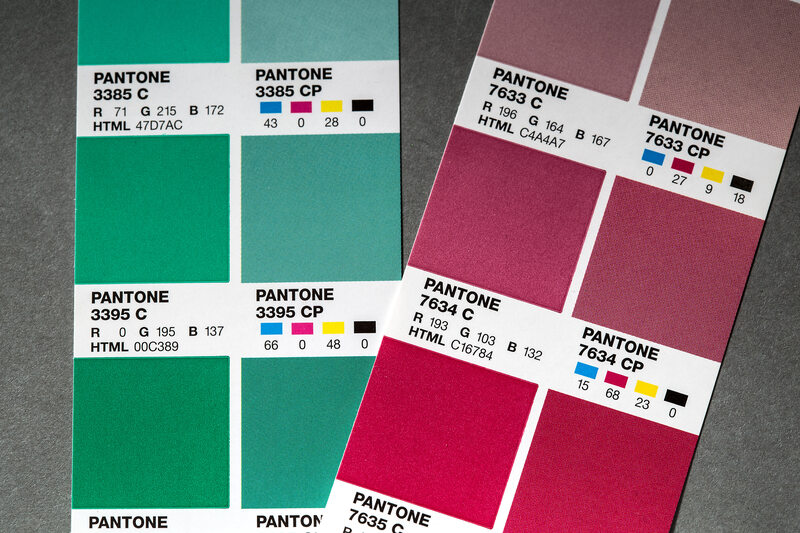 You can specify color precisely if you use printed color guides to select your colors. I highly recommend the Pantone Bridge Selector, which gives you Spot, RGB, and CMYK equivalents for each color. When working on identity systems, it is an invaluable tool. You can immediately see how out-of-gamut some Pantone greens and reds are when rendered in CMYK. And for the RGB equivalent enter the values shown in Adobe Photoshop and see how that compares (knowing the browser, monitor and hardware will serve it up differently in each case). There is absolutely no way to take a low-resolution image and make it look like a high-resolution image. Interpolating a file to a higher resolution makes the image look like an image that was interpolated up to a higher resolution to improve its appearance. One low-resolution image can make collateral look unprofessional. Make sure all the images you provide are the correct resolution for their output size. Each software program creates a native file format that it “gets along with” best. For Adobe Photoshop, that would be bit-mapped files like tiff, jpg, and png. For Adobe Illustrator, it is eps files. Adobe InDesign is a composition program that can accept nearly any file type for inclusion into a document that will be printed or published to the web. • Pdf for high-resolution printing when properly saved with embedded fonts and bleeds, etc. • Png for more image depth. The trade-off is its large file size, no CMYK, RGB only. Don’t use image compression unless you absolutely have to. Every time an image is compressed (when it is saved) and uncompressed (when it is opened), it rewrites the data in the file and leaves little artifacts/noise in the image. Compression is left over from the days when a 44mb (yes, that’s MB, not GB or TB) Syquest drive cost $200. Nowadays, storage is cheap. Compression works well for the web, but it isn’t necessary for anything else. For example, Tiff files and images are not compressed. Jpeg files and images are. I hope this helps you to feel super confident the next time you send a job to your printer! 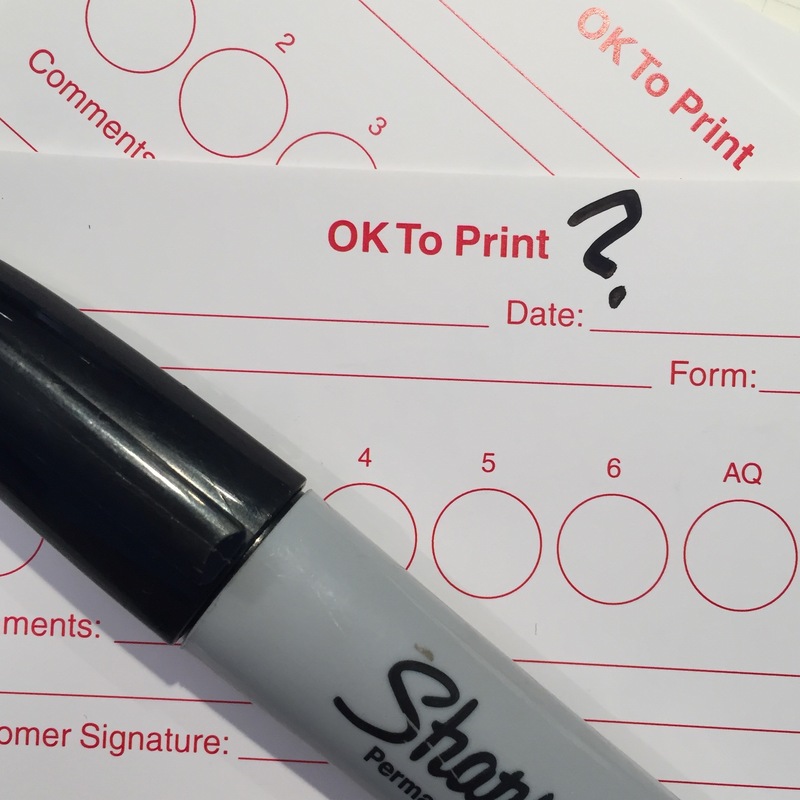 Stay tuned for part two – What Your Printer Controls! Get notified when the Kickstarter campaign launches July 25, 2017!